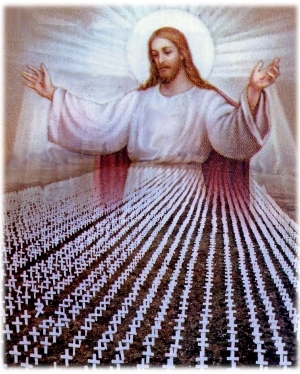 While photographing a field of 4400 crosses I saw something that caused me to go to my darkroom and create this picture entitled "Returning to Jesus". I hope you enjoy it. their mothers to be killed by abortion. Do you think GOD is upset ?? ?